The 2017 U.S. Online Grocery Shopper Study gives the highest scores to Amazon and Walmart, concluding shoppers feel these two retailers do the most to earn customer satisfaction. Commissioned by The Retail Feedback Group (RFG), the study also suggests an increasing number of consumers are embracing online grocery shopping. About half the consumers who engage in online shopping said they plan to continue to buy groceries online in the coming year. Those who are already making food purchases online rate Amazon highest in customer satisfaction, giving the online retailer a score of 4.63 out of five. Walmart was not far behind at 4.41. Amazon edged out Walmart in several categories, rating higher for the online checkout process, the overall ordering experience, the availability of food items, and the delivery system. Walmart outstripped traditional supermarkets in the areas of the online ordering process, easy-to-find discounted items, good value, and convenient delivery/pickup.. Traditional supermarkets have online ordering capabilities, but shoppers rated these stores lower than either Amazon or Walmart nearly across the board. Supermarkets only achieved parity in the category of delivery, with consumers rating that experience on par with the two online leaders. "Clearly Amazon has effectively leveraged its deep roots in online retailing to inform their efforts in online grocery, leading to the strongest 'highly satisfied' marks found in our research," said Brian Numainville, a principal at RFG. Numainville says that even though Walmart scored lower than Amazon on overall satisfaction and key performance metrics, it was well ahead of traditional supermarkets. "It appears supermarkets and food stores have work to do to improve their scores in online grocery shopping relative to these retailers," Numainville said. The study also explored why some consumers prefer shopping online for groceries while others would rather go to the store to purchase items. The appeal of online shopping revolves around convenience–consumers on busy schedules said it saves them time. Those who prefer to shop in store expressed a desire to actually see and hold items they’re shopping for. That is especially true for produce, which can vary in terms of quality and freshness. RFG principal Doug Madenberg says the current study shows that, overall, more consumers still prefer the in-store shopping experience to ordering groceries online. But he says continued improvements in the online experience–especially regarding the product selection process–could shift that balance in the future. 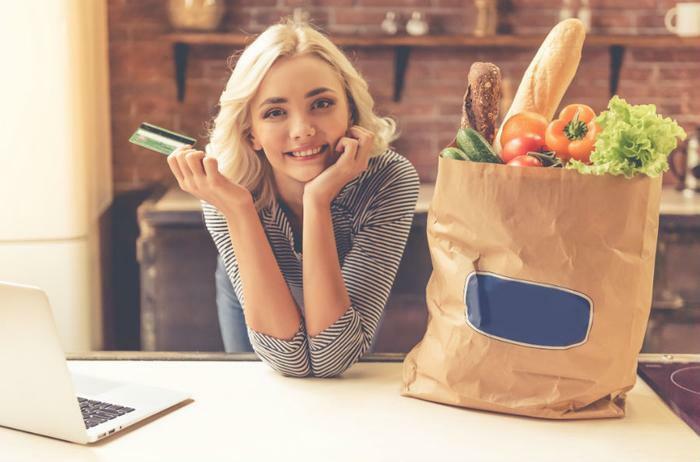 Earlier this year, the Food Marketing Institute (FMI) predicted a growth in online food sales such that it will account for 20 percent of the market by 2025, with consumers spending as much as $100 billion on online food orders. Numainville points to Amazon's recent purchase of Whole Foods as a potential game-changer in making online grocery shopping more common, potentially allowing the online retailer to improve delivery foods’ freshness -- especially produce.